Throughout most of the year, travel by civilians is relatively limited. However, during the summer, travel ramps up while kids are out of school. This can make scheduling travel for business executives a lot more challenging. Flights fill up faster, there are long lines, and airports are simply more crowded. Here are a few tips to make summer travel easier on your executive team. One plus side for executive travelers is the introduction of many new travel deals during the summer. Airlines offer steep discounts on pricing to entice families to take the plunge. Unfortunately, they are also known for over-selling certain flights. This often leads to individuals being bumped to a later and later flight until they can find space. Avoid purchasing tickets during peak travel times of the day to reduce the stress of this experience. If you really want a deal, the best thing to do is to wait to upgrade your seat until the day before your flight. Most companies will send you an email at check-in asking if you would like to upgrade. At this point, the upgrade usually only costs $50 more instead of hundreds of dollars. Due to the increased number of travelers in the summer, delays can rapidly get out of hand. As the day wears on, each additional delay adds up until the final flights are running an hour or more behind. The best policy is always to take an early flight out. most vacationers don’t want to be up this early to fly, and the delays won’t have started compounding just yet. It stands to reason that most vacationers will be traveling on the weekends because they have to be back in time for work on the following Monday morning. If you can help it, traveling on a Tuesday or Thursday morning can really save money and time. These are the lowest frequency travel dates during the week so the lines will be shorter and easier to manage. Plus, there will be more space on the plane for carryon! Summer also happens to be the time of year when shuttle services are overwhelmed with families and tons of luggage. A private car can get you directly to your gate in far less time, and with much less stress. Make sure you book your ride in advance and they will make sure you arrive on time. 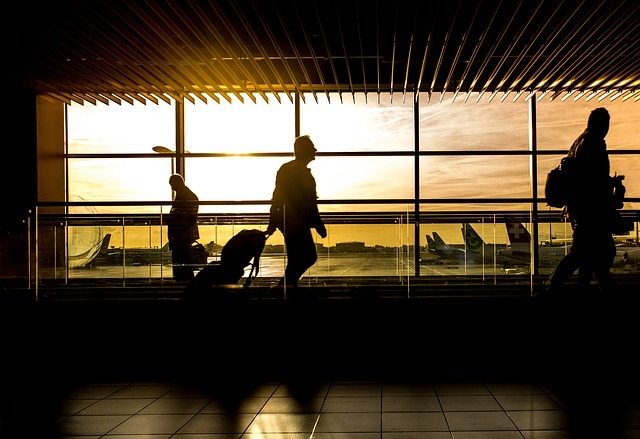 Business travel in the summer doesn’t have to be especially stressful. If you plan your trips properly you can avoid the bulk of the traffic. Taking a private car and traveling during the business week will certainly simplify your plans and make the most of your valuable time. Easily book with us online.